Round yard, showjumping paddock and practise cross country jumps. Lessons in jumping, flatwork and stable management for all levels of riders. Tuition for adults and children. Choice of private or group lessons. Bring your own horse, or ride one of our reliable, friendly school horses. Agistment available at reasonable rates by arrangement. 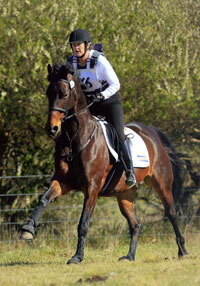 Opportunities to compete at local dressage days, events and gymkhanas.